Only 46% of companies say their sales and marketing teams are truly aligned. Today, one in two marketing managers is making the mistake of investing in strategies without taking the time to understand how they could be working with sales to demonstrate tangible revenue growth. It goes both ways: the sales team might argue that marketing hasn’t delivered enough quality leads, but marketing will say they have — and without the data to back it up, neither team can prove or disprove this. The growth challenges this problem creates can be crippling: according to SiriusDecisions, a staggering 98% of marketing-qualified leads (MQLs) never result in closed business. The benefits of sales and marketing alignment are also well documented. Salespeople with service level agreements (SLAs) call out marketing as the top generator of leads, research by sales and marketing platform HubSpot suggests. (See graphic below.) According to its global State of Inbound 2018 report, 'marketers with SLAs say they provide higher quality leads to sales', while 'teams with SLAs see higher ROMI from inbound marketing'. Service agreements between sales and marketing drive improved cooperation and performance. On one side, marketing teams understand the impact of their inbound marketing strategy, and on the other, sales appreciates the leads they receive from marketing. As a result, joint SLA efforts improve sales performance. But with one in two businesses reporting a lack of alignment between their sales and marketing teams, the question remains as to why more businesses aren't doing more to bring their sales and marketing departments in line. I want to repeat something a marketing manager once said to Eric during an exploratory meeting. The comment was offhand, made in jest, but it’s indicative of a problem many sales directors we speak with face when it comes to closing leads and generating revenue. Whether or not your head of marketing is quite so inward facing, it’s a scenario you probably know well: the marketing team are so focused on generating leads that they overlook what needs to happen next. Many sales functions are similarly siloed. Is marketing properly qualifying the leads? Does your sales team give feedback to marketing about the quality of the leads and the results? Does marketing even hand over the leads in the first place? If the answer to any of these questions is a ‘no’, yours is one of the companies with a weak or broken link between your sales and marketing functions. The problem often stems from a mismatch of goals between the two teams. This rivalry is real, but why? We believe the reasons run deeper than departmental structures. If we look at the way communication (literally the act of sharing information) works, we can see a number of common scenarios where this rivalry takes hold. 1. Who is more important? First, both parties believe they are more important. Yes, marketing probably does spend too long colouring in, but then they’re responsible for the brand and long-term reputation of the business. The sales team's responsibility is closing the deals that pay everyone’s wages (including the ‘overheads’ in the marketing team). The problem runs deeper still. They use the same words to describe different things. Take ‘awareness’ for example. 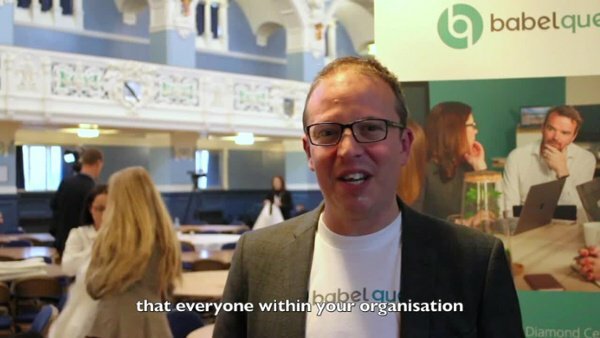 Is that awareness of your brand, your value proposition, your position in the market? Or is it awareness of your product or service (or if your reps have been on a course recently — your features and benefits)? Think of what awareness means to you as a buyer. What do you first become aware of when you start your buying journey? It’s not anything on that list. It’s usually one or both of your favourite subjects — you and your problems. This insight can help you resolve this first conflict between marketing and sales: ‘you’re probably both wrong, go and find out what the buyer thinks about it instead’. There is another crucial communication issue that causes problems between the two functions, and it’s often discussed as ‘lack of feedback’, ‘alignment’, ‘closing the loop’ or other vagaries. The fundamental issue is that they're measuring different things. It’s not quite comparing apples and oranges, but consider this: marketing are targeting a wide audience on a one-to-many basis, but the focus is on engaging in a conversation with an individual contact. Sales are targeting contacts on a one-to-one basis, but the focus is on the deal, not the contact. Now go a step further and look at what happens when you’ve closed the deal. The focus moves to building a relationship. In terms of data, these are three different ‘objects’. Can you see how getting each team to feedback to the other with useful data is hard? Can the sales and marketing teams agree on what constitutes a lead? Your salespeople almost certainly have an idea of what a lead looks like. But is it realistic, and does the marketing team have the same picture in its head when creating its assets and communications? A commonality here is fundamental. Marketing won’t be handing over any leads to sales if both parties disagree on what actually counts as a lead in the first place. Do you understand marketing’s terminology — and do they understand yours? This is huge. The breakdown in communication isn’t just restricted to what leads look like; effective alignment depends on the two departments’ ability to understand one another. Is a dependency on jargon or other terminology tripping up both teams? Does everyone know what the lifecycle stages are and how to define leads accordingly? A lead is worth next to nothing if it can’t be moved along the sales process. And it’s not going to move very far at all if sales and marketing don’t have a clear idea of your lifecycle stages and how they can be attributed to each lead coming in. Are both teams following a qualification process? Hand-in-hand with lifecycle stages is proper sales qualification, defining how your sales and marketing teams associate a lead with a lifecycle stage — and what happens next. Both departments should be following the same qualification process. Are their systems set up to track this? It might be the case that you feel your sales and marketing teams are in alignment, or at least work well together. But without a systematic way of tracking and measuring this, you have nothing concrete with which to backup your assertions. Have they agreed on baseline qualification criteria? The sales team depends on marketing to work to a set of baseline qualification criteria to ensure the quality and integrity of the leads they qualify as MQLs. Are both teams in agreement on what the criteria looks like — and how to assess it? Are leads being handed over/handed back correctly? If leads are slipping through the net, this could well be where. The marketing to sales handover process (and the handback process) needs to be watertight to ensure operational efficiency and provide a seamless buyer experience. Is there an agreed feedback and reporting mechanism? Leads and prospects move back and forth across lifecycle stages all the time. Without a feedback and reporting mechanism, you will quickly lose track of how sales and marketing are working together, never mind losing the leads themselves. Is an SLA/People Responsibilities document in place? Underpinning your sales and marketing teams is an SLA (service level agreement) documenting how the departments have agreed to work together and what they will deliver. A People Responsibilities document goes one step further, naming accountability. Together, both documents form a code of conduct you can use to manage and improve the relationship between sales and marketing going forwards. It’s time to transform your sales and marketing by no longer thinking of them as two distinct operations. When the marketing team puts down its crayons and thinks about what its doing, it’ll find it integrates naturally with sales and customer service to serve the buyer together. This means fewer time inefficiencies and wasted funds, more accountability, and, ultimately, more revenue. Each business unit forms a critical component in what can be effectively imagined as a flywheel, with marketing drawing in and engaging prospects, sales nurturing and closing them, and both departments working together to delight their customers and predictably, repeatably, close new business. Have you diagnosed a breakdown between your sales and marketing operations? 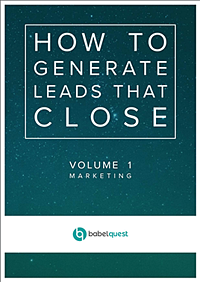 To discover how to join the dots between sales and marketing and generate leads that close, download our free sales ebook below. 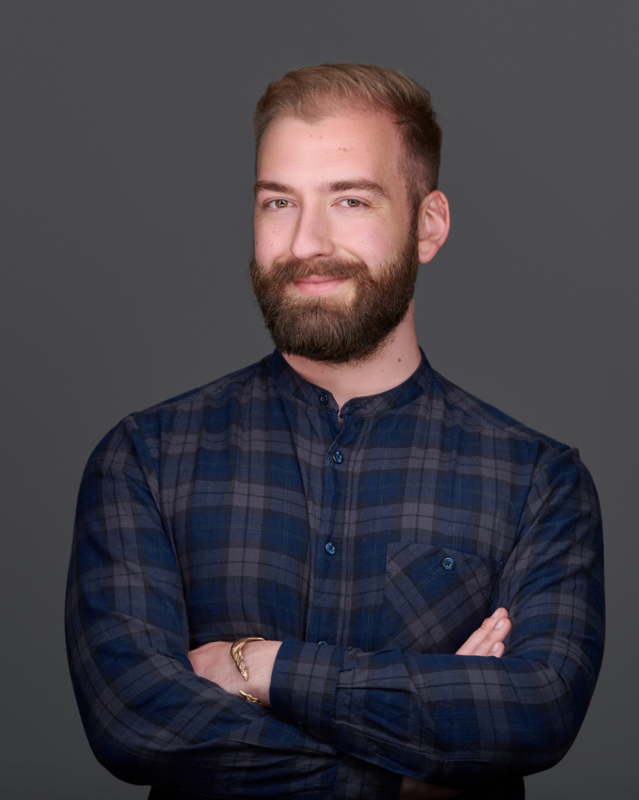 Head of Content at BabelQuest responsible for steering and implementing the content roadmap. PhD Creative Writing at the University of Southampton and novelist with Sparkling Books. 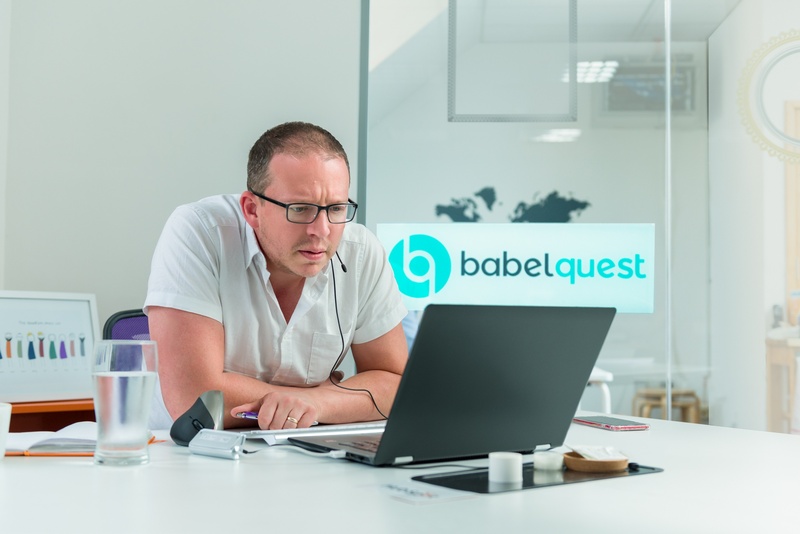 BabelQuest is a UK Inbound Marketing and Inbound Sales Agency and Diamond Hubspot Certified Partner, on a mission to help businesses grow.